A moderate cold wave has been sweeping the Northern regions of the sub-continent since 14th of December. In the plains of India, we have seen a low of 1c at Churu on the 17th, and frequent lows of 2c at Amritsar, Karnaul, Agra and Hissar. Delhi has seen a low of 4.7c yesterday, and frequented 5c a couple of times. In Kashmir, Leh plunged to -13c as its lowest this season, and Srinagar was at -4.3c as the minimum. In H.P, Keylong saw -6c on a couple of occasions. In the higher reaches, it was Shyok at -24c as the leader in the country. The cold penetrated thru Punjab, Chandigarh (at 5c) and into M.P. with Umeria and Gwalior seeing 4c, and Rajasthan. The nights in Gujarat and Madhya Mah. (Western interior Mah) were below normal by 2c (See map above), but not severe. Nalliya in Kutch recorded 5c a few nights back, and Rajkot hovered around 10/11c. Nasik reached 9.6c, while Pune saw 10/11c on a few nights. Due to dry conditions, and absence of rains, the entire southern peninsula was around 2c below normal. The cold, even normal minimums, evades the coastal belt of Mah. and Gujarat. Mumbai S'Cruz has not gone below 16c, that too on one occasion and Colaba has reached only 21c on a single night. The reason is obvious. See on the * below. Across the Western border in Pakistan too, it has been cold in the plains, with the capital Islamabad hitting below freezing, at -1c continuously on several nights.Lahore, Gujranwala and Faisalabad are at 3c. In the Sindh region, Nokkundi has been bottoming 1c on a couple of occasions, and the interiors of the region are cold at around 2-4c, with Sibbi constantly at 2c. The coastal city of Karachi plummeted to 10c, and has maintained this currently. Kathmandu has been seeing colder nights, with lows touching 2.6c on a few occasions the capital is constantly steady at 3c since the last one week. As Neeraj points out, this year fog seems to be rare. It is just absent #. (His report put up interactive page for those interested). #For the entire region, I would attribute this cold wave not to a W.D. but to a weather condition which i have explained in this blog earlier. It is due to a stationary high pressure zone over the region. A constant high pressure area causes the skies to clear and a cold front encroaches the area. In reality, it is an aftermath of a W.D. Currently there is no precipitation. Now, we have a weakish W.D. coming by the 20th. Weak, because it is an upper air system. Being such, it should bring precipitation to the upper hilly regions of the sub continent, and some good snowfall in Kashmir from the 20th. But rains will be scanty in the plains of Punjab and Haryana. That translates to an abetment of the current cold wave. Mumbai, on the other hand will now see more civilized day temperatures. The days at S’Cruz have been constantly between 34-35c, almost since the beginning of this month. And obviously that is above the normal of what this city should expect. From the 19th/20th onwards, I expect the day temperatures not to exceed the 31/32c mark. A gradual fall of around 3c, and that too in the day. Most welcome I am sure ! The nights in Mumbai would be around the current level till the 25th. Should hover around the 17c/18c mark at S”Cruz and around 21c at Colaba. From the 25th to the 31st, I expect the nights to drop. Not too much, but to around the 15c level, with an odd night at 14c, at S’Cruz, and to the 19c level, with an odd night at 18c for Colaba. On the other hand, I think Pune should expect the nights to come back to the 13c/14c level, and drop again to 10c after the 25th of December. For the South, an easterly wave is expected to bring in a spell of rain of the NEM. Around the 20th of December. Rains will concentrated in the extreme south of the peninsula. Would be heavier in Sri Lanka and southern T.N. Another spell. Could be the ultimate, is pushing in to reach the T.N. shores by the 25th. Hi Rajesh, Its been long time. Many models predict cyclone to come close to Tamil Nadu coast during last week of December 2011. Off late GFS is not so accurate in its forecast. 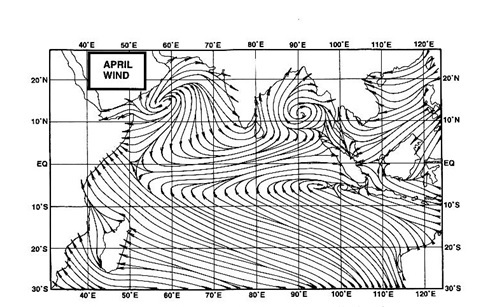 I have compiled some of the cyclones which have formed in December and have crossed Tamil Nadu coast since 1950.
hello Pradeep: Doesn't look like a cyclone this year. a depression at the end of the year.